In October, we're launching CLIVE BARKER'S SEDUTH, a 32-page one-shot that is Barker's first all-new comic book story in a couple decades. 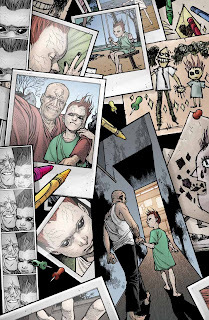 He and writer Chris Monfette developed the story, while the LOCKE & KEY team of Gabriel Rodriguez and Jay Fotos handled all the art. And to make it even better, 3-D expert Ray Zone is applying 3-D techniques to the entire story. So this book should feature both story and art that is rarely ever seen in comics, and the 3-D component is actually something germaine to the story, not an effect just for the sake of it. 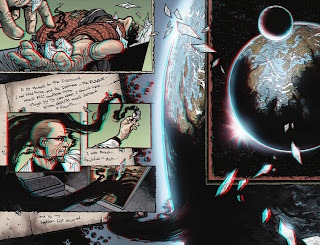 More details will follow, but for now, here's a look at the original color pages and the 3-D effects Ray added (made much more impressive when viewed through 3-D glasses, of course). "You will visit your comic shop three times..."